Seems like my brother and sister Law Enforcement officers are still under attack on a daily basis. We all have to stand up and back the badge, and fight these ambush attacks by crazies who seem to be randomly murdering Police Officers. The more it happens, it seems society has become jaded to the significance of these murders on our guardians. We have to constantly be putting the truth out about our American hero cops, and loudly supporting the police community. 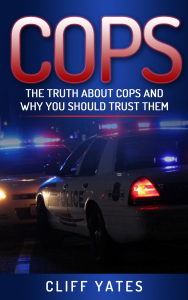 For a limited time “The Truth About Cops” can be downloaded from Amazon for FREE. Click on the picture or click HERE, to get your FREE copy today. Leave a review, and pass it on.